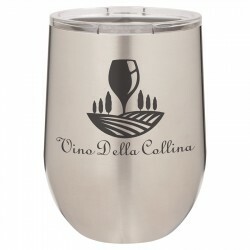 Polar Camel Stemless Wine Tumbler Set - 12 oz. Our high quality Polar Camel 12oz. 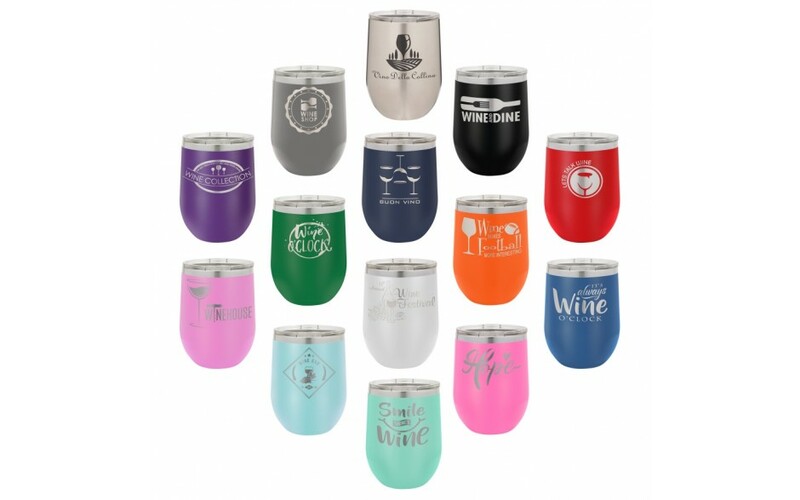 vacuum insulated stemless wine tumblers with swing-top lid are made to last. 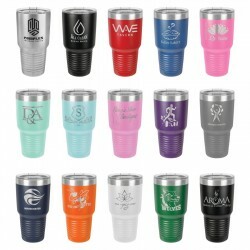 Personalize with a logo, monogram or your own design. 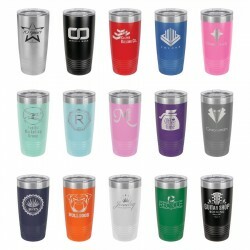 The included lid makes them perfect for enjoying all your hot and cold beverages. Drinking wine just became much more fun! This sample set includes 15 stemless wine tumblers. Colors listed below. Polar Camel Stemless Wine Tumblers - 12 oz. Polar Camel Ringneck Tumbler Set - 20 oz. Polar Camel Ringneck Tumbler Set - 30 oz.